APAC seems to have been depicting a contrasting trend as far as the progress of data center networking market is considered. On one hand, countries like Japan, Singapore and South Korea have been on the technologically advanced path to lead the continent, however, largely nascent markets like Myanmar, Vietnam and Malaysia are yet to progress in the regional sphere. Countries such as India and China though, are now remnant of a higher economy, connected lifestyles, and improved broadband infrastructure, and stand to contribute much to APAC data center networking. China has been hailed as the sleeping dragon in APAC industry. Indeed, experts predict that the country is well on its way to emerge as one of the most prominent leaders in the technology cosmos after having observed the ambitious endeavors of Beijing to cement China’s position in the world stage. Just recently, tech giant Apple laid the foundation of its first data center in China at the Guian New Area to offer iCloud services in the country. Chinese internet behemoth Tencent also has recently commenced trial operations for one of its data centers in the Guizhou Province. This data center in fact, is estimated to store the company’s most important data in the future. The strong movement toward the cloud and the adoption of highly advanced technologies are the key factors accounting for the dominance of the U.S. in the data center networking market. The country accounts for the increase in data traffic and sports a strong broadband infrastructure, providing an impetus for growth. 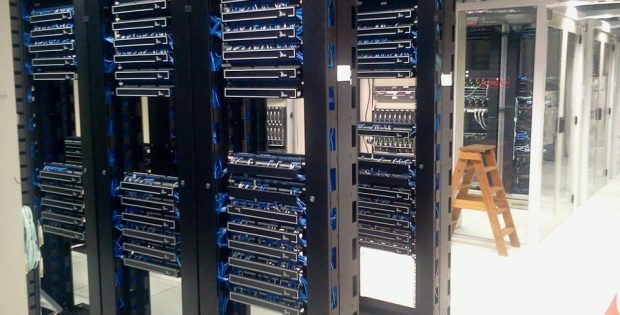 The players operating in the data center networking market comprise Brocade Communications, Arista Networks, Cisco Systems, Inc., Delta Electronics, Inc., Dell, Inc., Hewlett-Packard Enterprise, IBM Corporation, and Juniper Networks. As the industry comprises many players, companies are required to undertake strategies like partnerships, mergers and acquisitions, and invest heavily in R&D to sustain continuous growth.